Now that we have moved back into our newly renovated building we are keen to recruit a new team of volunteers to help us in our work. Would you like to join us? We particularly have opportunities for helping out on Saturdays and with evening events in our busy programme from January 2016. If you are interested – even if you’re only available once a month – we’d love to hear from you. Fill out the volunteer application form on our website or email julie.johnstone@spl.org.uk to find out more. 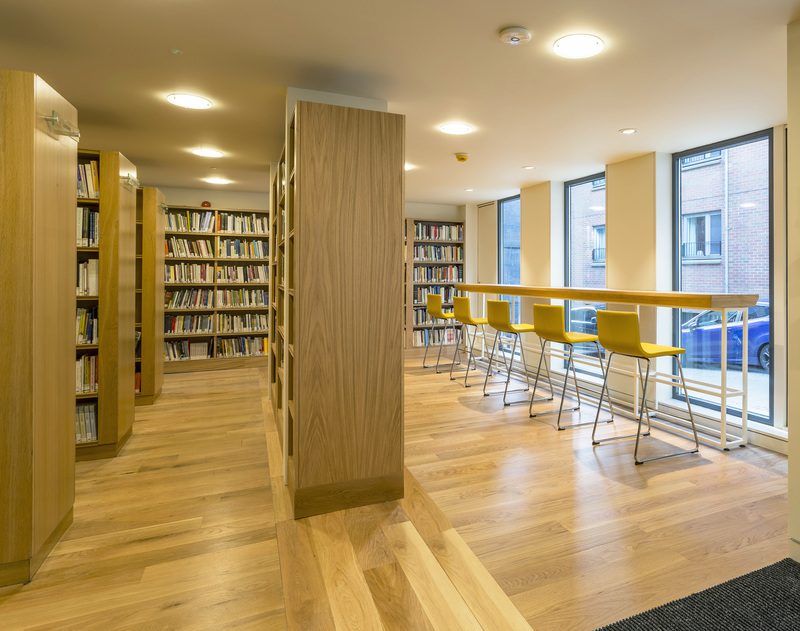 Even if you can’t volunteer – do come and visit us in our new building! A television documentary, Fergusson: Burns’ Forgotten Hero, was screened on BBC1 Scotland last Sunday. In this documentary marking Burns Day, writer Andrew O’Hagan goes in search of the poet who inspired Burns: Robert Fergusson. Fergusson died young but his legacy was a love song to his native city, Edinburgh. Andrew tracks down his story in the streets and wynds of the Old Town. Fergusson’s vivid use of Scots led Burns to declare him his ‘forgotten hero’ and to pay a lasting tribute to this neglected Scottish poet. 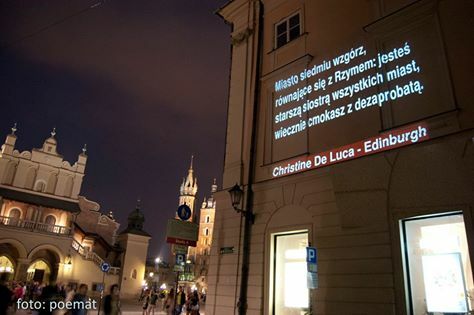 In late October 2014, I was invited as Edinburgh Makar to join a small Scottish contingent at the Conrad Literary Festival in Krakow, Poland. This was a wonderful opportunity to visit a city I had long wanted to see, a city which had recently been designated a UNESCO City of Literature. I told them a little about an unusual link between our two countries, Scotland and Poland. There are of course lots of living links: Poles living and working here, and Edinburgh and Krakow having been twinned for almost 20 years, since 1995. But this particular link relates to that generation of Poles who escaped to Scotland from occupied Europe during World War II and who made a huge, often secret, contribution to the Allied cause. Many later settled in Scotland. On a summer Sunday in 1975, I stopped off with my fiancé for afternoon tea at a quiet hotel (The Black Barony) at Eddleston in the Scottish Borders. After our refreshments we took a stroll in the grounds, crossing the Fairy Dean Burn to the other side of the narrow valley. To my surprise I came upon an old man patiently working on a massive, scaled model of Scotland. 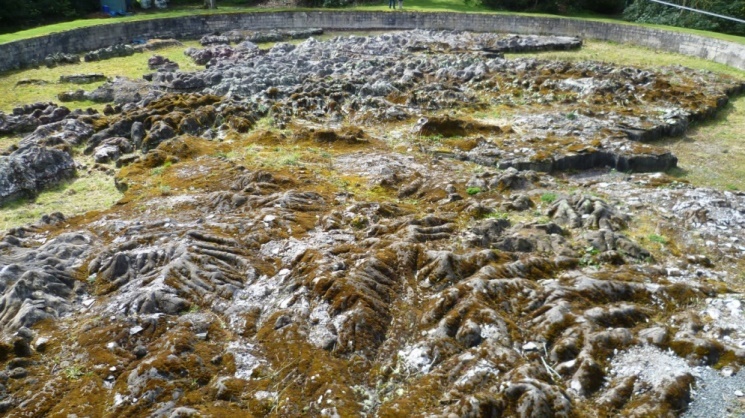 As a Geography teacher I was transfixed and looked forward to being able to bring pupils to see it as, for many, visualising a landscape from a map is difficult. The old man was checking elevations and levelling and was working with only a quarter-inch map! 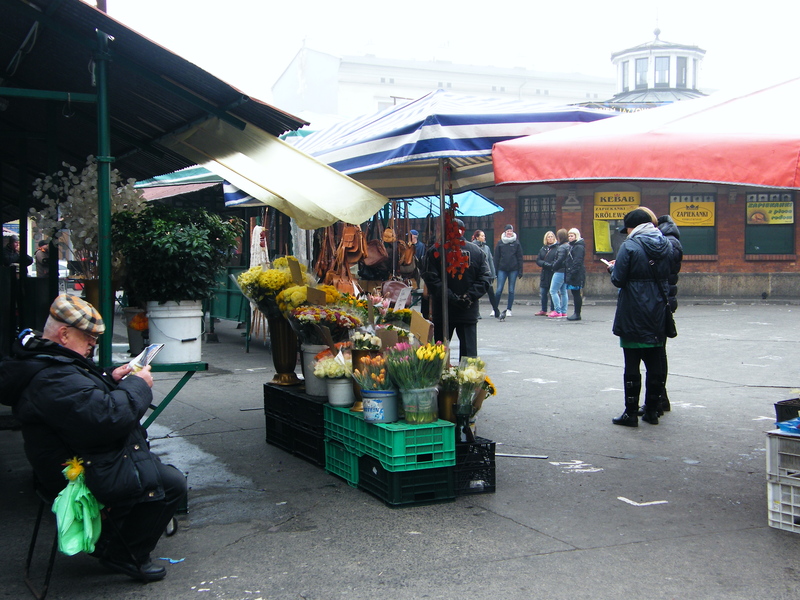 We got talking to him – he was Polish and was attempting to do something for his adopted country. Little did we know that, not only had he bought the hotel and grounds, but it had been the secret headquarters of the Polish soldiers during the war. However, I never heard any more about the model and, when I returned several years later, the hotel had changed hands, the grounds were fenced off and no one seemed to know anything about this incredible feature, visible from space! Until recently, that is… when I was driving nearby and saw a sign pointing to ‘The Great Polish Map of Scotland’. My heart skipped a beat! I was delighted to find that, although it had suffered neglect for many years, it has now been officially listed and is in the care of a trust. Work is on-going to restore it. Very many thanks to Christine for these delightful and informative tales of Edinburgh, Kraków, poetry, geography, history and bookart. I hope she will choose to write for us again sometime – and that she will inspire other ELISA readers to have a go too! Please contact me if you’d like to contribute to this blog at any time. Spoken word powerhouse Rally and Broad celebrate the tremendous popularity, diversity and eccentricity of the Edinburgh scene with a series of new workshops in January and February by some of the finest performance poets in Scotland. 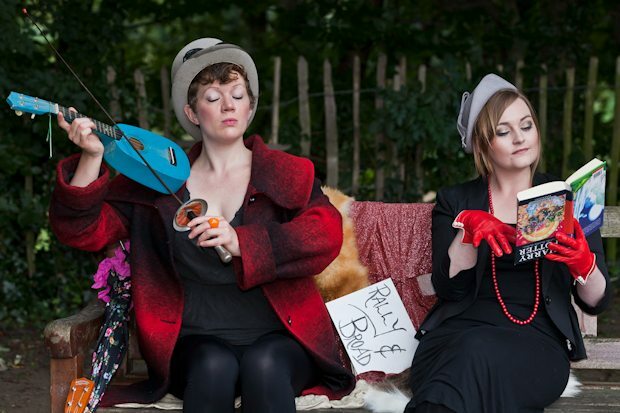 To get the year off to a flying start, Francesca Beard and Salena Godden will run sessions for anyone who wants to develop their skills or practice. Join Francesca on the 24th January as she shows you how to build a live set, offering an insight into how to engage a live audience. On Saturday 20th February, Salena will focus on writing and performing memoir, including how to walk the line between the private and the public when performing or reading in a live setting. The workshops are aimed at fairly experienced performers, although newcomers are also welcome. 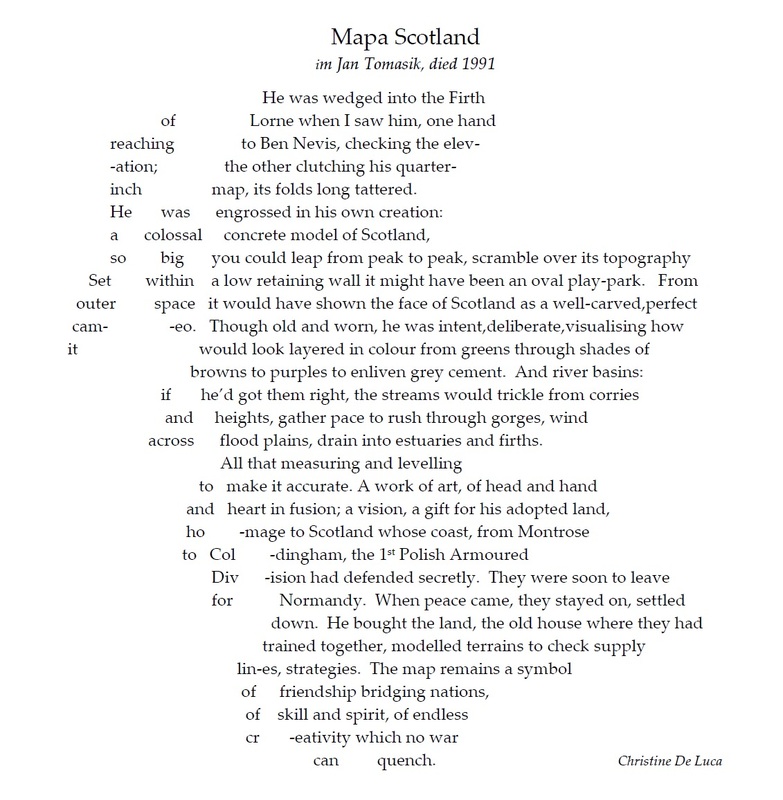 Edinburgh’s Makar, Christine De Luca writes for ELISA – Part 1: What is a Makar? a Fine New’er tae all! The Scots word Makar means ‘one who fashions, constructs, produces etc.’ (Dictionary of the Scots Language). In a literary context it is the role of the poet or author as a worker in the craft of writing. Why does Edinburgh have a Makar and how did it come about? In 2002 four organisations came together in the city to establish the role of Makar (Poet Laureate), to celebrate the importance of writers in the life of the city. These organisations were the Scottish Poetry Library, the City of Edinburgh Council, Scottish PEN and the Saltire Society. 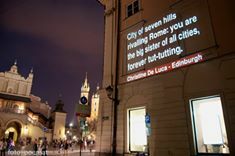 About this time Edinburgh was encouraging UNESCO to establish a worldwide network of Cities of Literature; and to designate Edinburgh as the first. The bid was successful and, in 2014, Edinburgh celebrated its 10th anniversary as the first City of Literature. So now the UNESCO City of Literature Trust is another key body involved in the selection of the Edinburgh Makar. have the ability to act as the City’s literary ambassador. What are we expected to do as Makar? 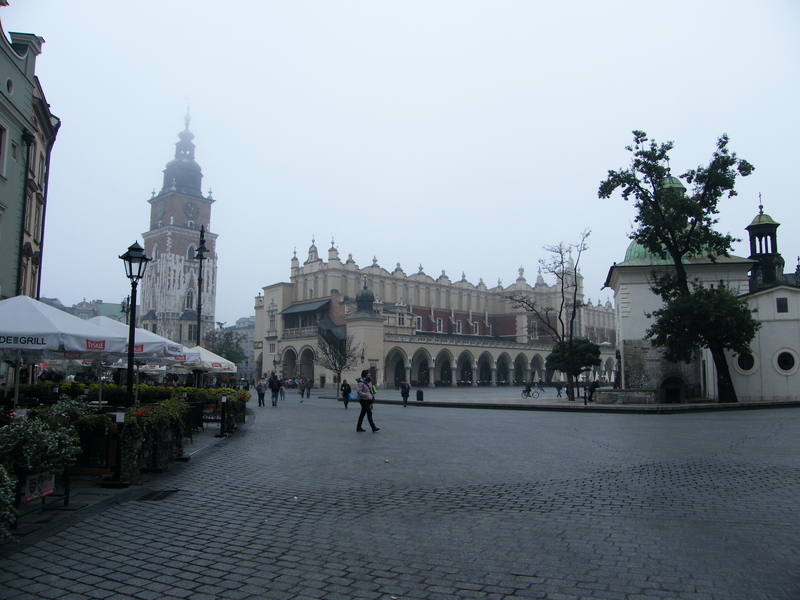 Most of my work is in Edinburgh but, in late October 2014, I was invited as Edinburgh Makar to join a small Scottish contingent at the Conrad Literary Festival in Krakow, Poland. the wrapping than enjoy the gift. from cleaning other people’s stairs. and see your true topography. the allure; just a hint of the roué. that made me keep my distance. lowering our defences bit by bit. a particular view of refinement. We are still falling for one another. my eyes. You’re under my skin now. I defend you against all-comers.